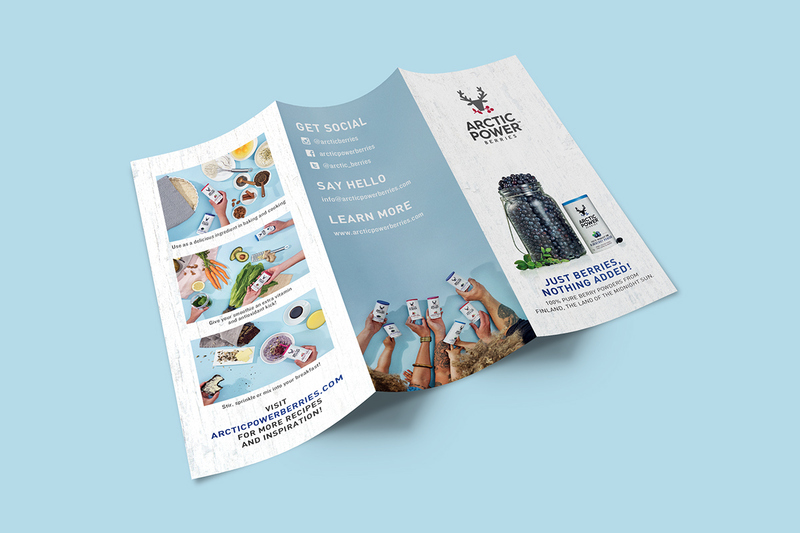 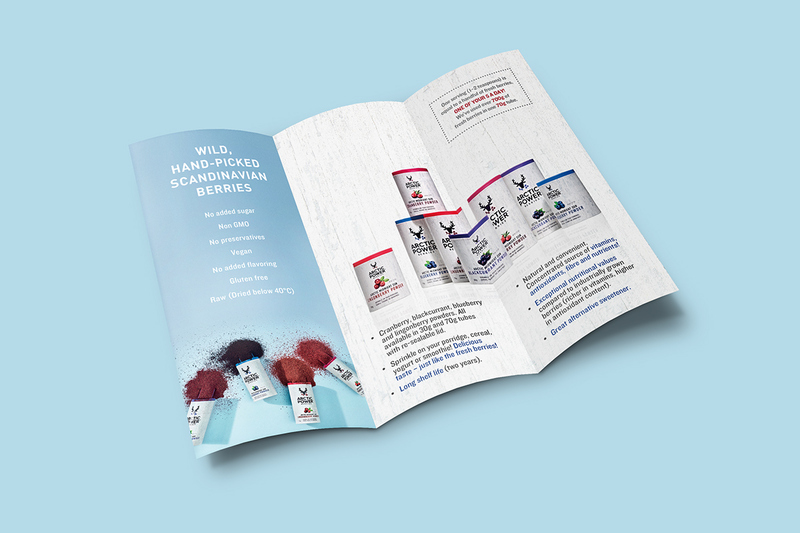 With the new distinctive look and efficient social media marketing, the brand gained very quickly a strong clientele and aroused interest from all over the world. 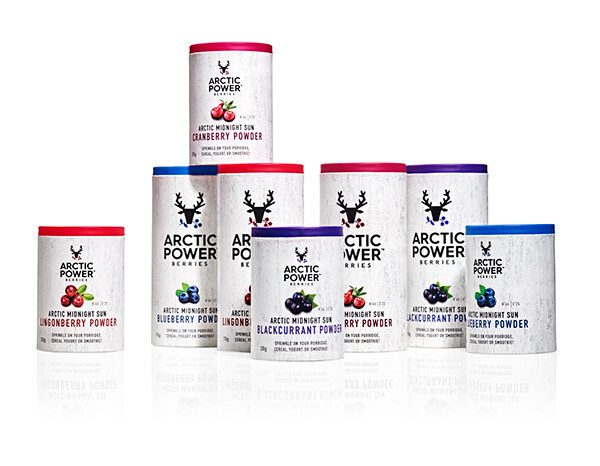 After a successful year it was time to improve the packaging again. 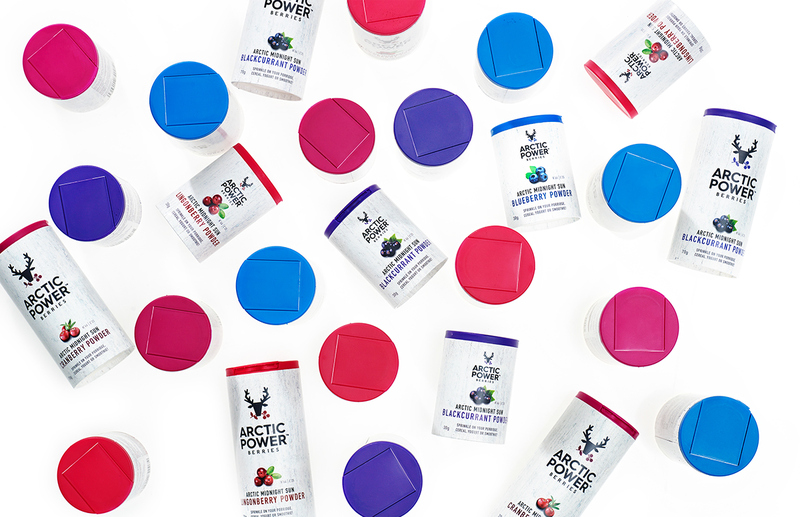 This time the powder needed to be in re-sealable jars and the whole visual identity was to be updated as well. 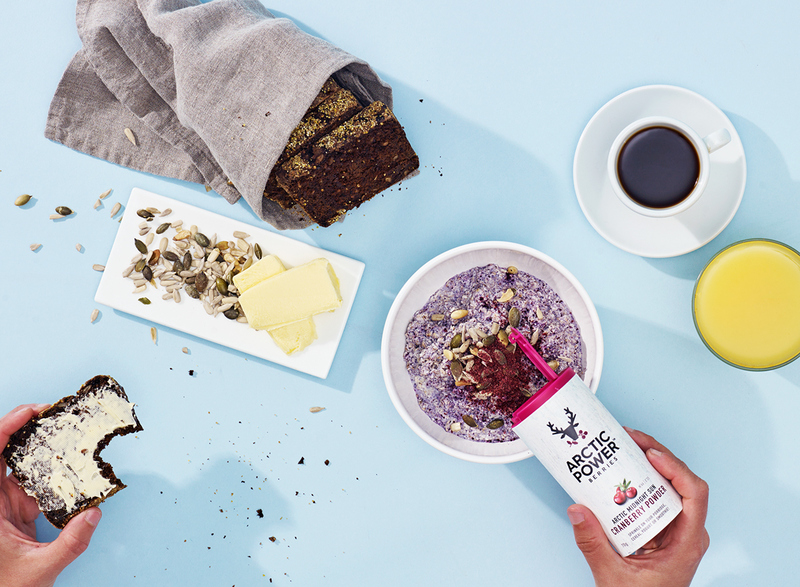 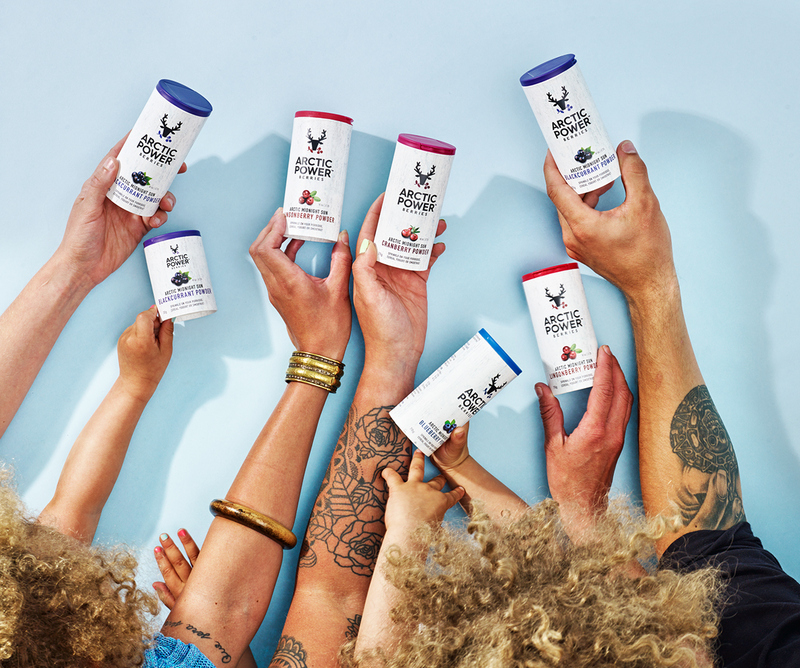 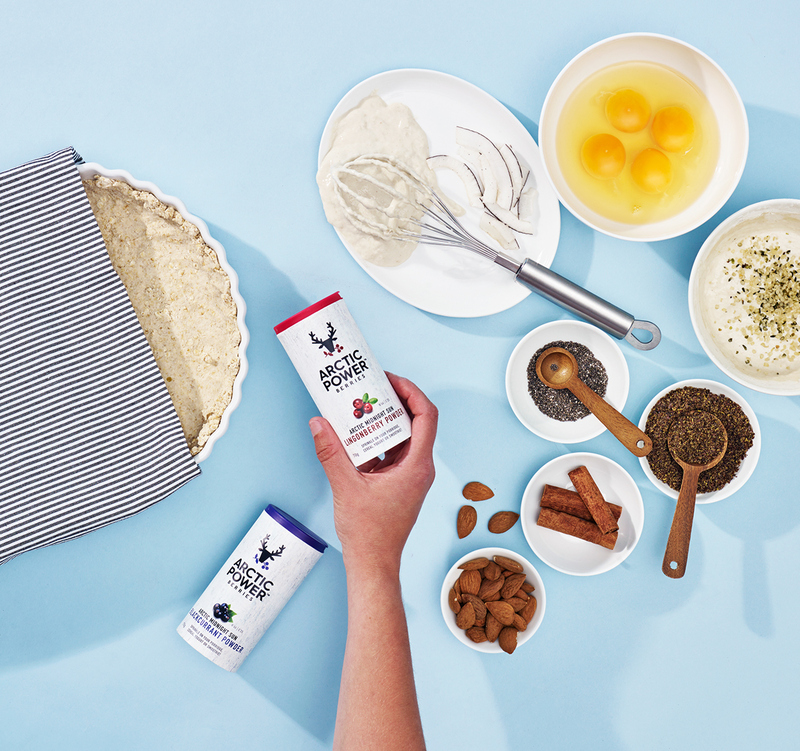 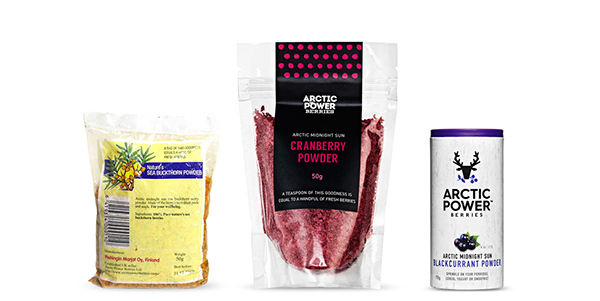 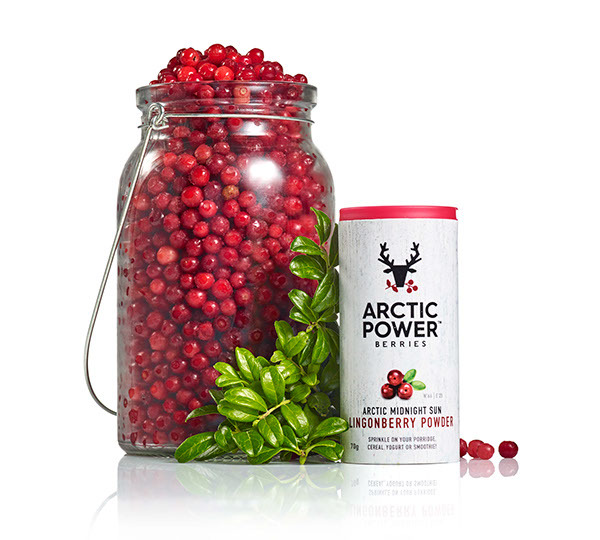 The brief was to refresh the branding to reflect better the arctic background of the founders and the ingredients. 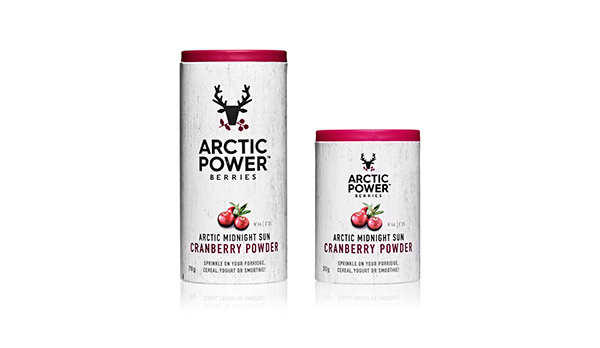 The inspiration is taken from the nature and the product itself; the cylinder shaped packaging is like a deadwood trunk, common to the scenery in Lapland and the colorful round lids remind of the berries. 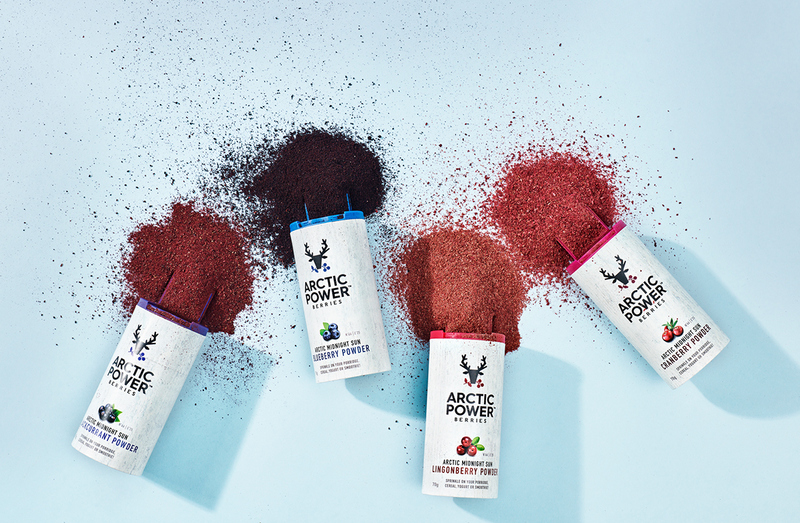 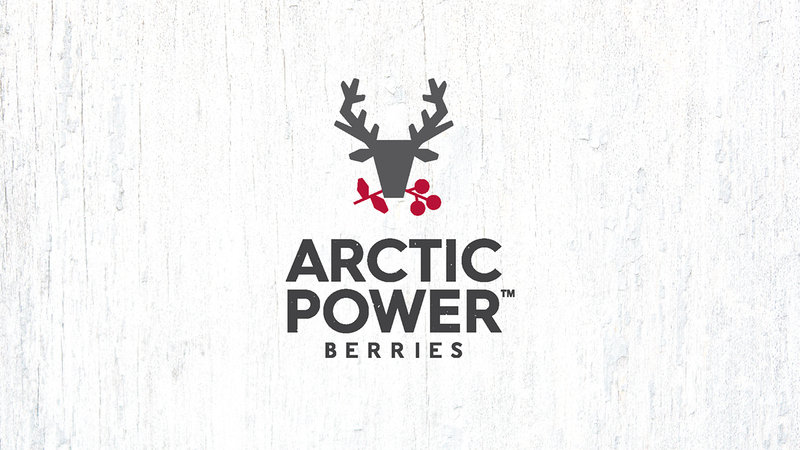 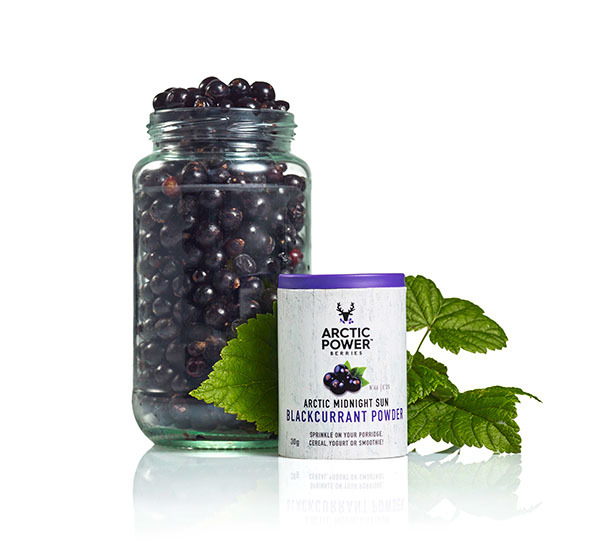 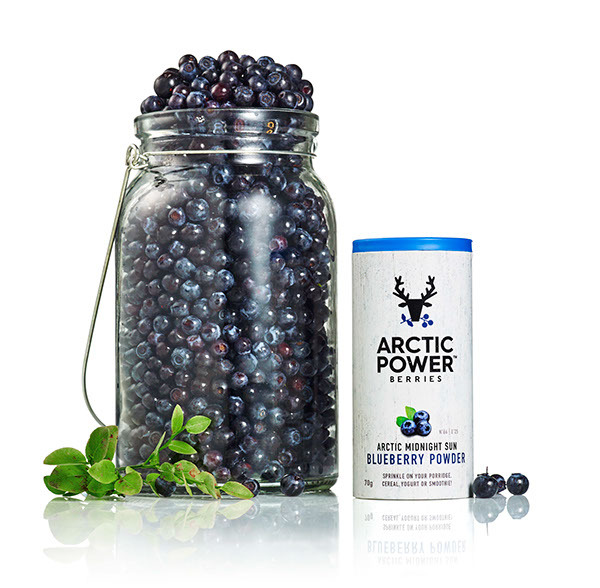 The logo is playful yet strong and immediately communicates the essence of the brand; arctic berries.